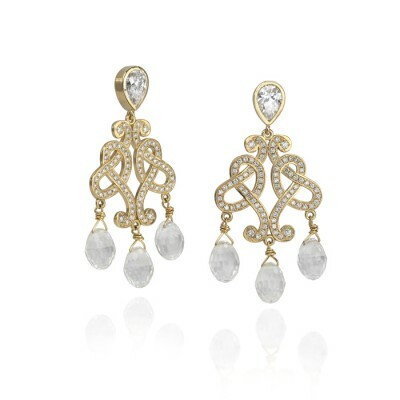 These earrings were designed for a wonderfully romantic custom job. They were designed by a groom for his bride as a wedding present, and they were a surprise. 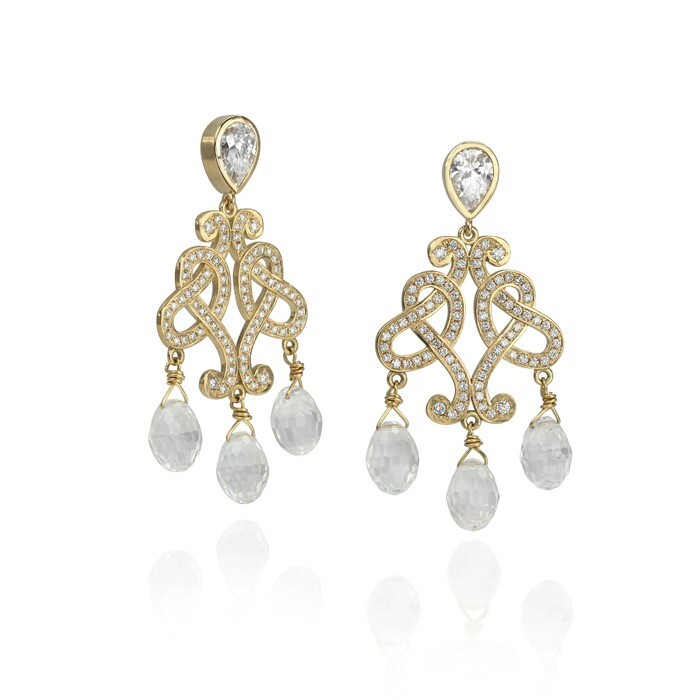 Made of yellow gold, diamond and quartz briolettes, they looked beautiful on their recipient.